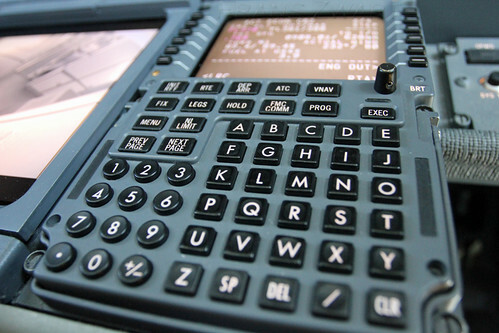 The interface to the Flight Management System on a 737: part of the source of the problem that led to two crashes. CC-licensed photo by Frans Zwart on Flickr. A selection of 13 links for you. Not delayed yet. I’m @charlesarthur on Twitter. Observations and links welcome. Perhaps nowhere was US leadership on aviation safety being questioned more than in China, the first country to ground the 737 Max — an unprecedented move for a government that long followed cues from American authorities. A top Chinese regulator said his agency made its decision because the [US] FAA [Federal Aviation Authority] and Boeing had not provided China with satisfactory answers about the airplane’s software and safety issues after the first 737 Max crash — of Lion Air Flight 610 in Indonesia that killed all 189 passengers and crew. Not mentioned in this story, but mentioned by John Gruber (who linked to it on Friday) is that the FAA has been without a commissioner for over a year. Trump nominated his personal private jet pilot. Congress laughed. In some ways it’s inevitable that a hacker would be a presidential candidate at some point. In the same way, a keen video game player will also be a candidate – and in time become president. It’s just numbers. The only contribution that Apple requires is for digital goods and services that are purchased inside the app using our secure in-app purchase system. As Spotify points out, that revenue share is 30% for the first year of an annual subscription — but they left out that it drops to 15% in the years after. • The majority of customers use their free, ad-supported product, which makes no contribution to the App Store. • A significant portion of Spotify’s customers come through partnerships with mobile carriers. This generates no App Store contribution, but requires Spotify to pay a similar distribution fee to retailers and carriers. • Even now, only a tiny fraction of their subscriptions fall under Apple’s revenue-sharing model. Spotify is asking for that number to be zero. Let’s be clear about what that means. Apple connects Spotify to our users. We provide the platform by which users download and update their app. We share critical software development tools to support Spotify’s app building. And we built a secure payment system — no small undertaking — which allows users to have faith in in-app transactions. Spotify is asking to keep all those benefits while also retaining 100% of the revenue. It would be quite a data point if we found out how many people signed up for Spotify through the iOS app. Especially given how much bigger Google Play is in user numbers. Norwegian institutions had been arguing for a so-called “read-and-publish” arrangement. Currently, most institutions pay both to read articles on Elsevier, which hosts around academic 2,500 journals, and to provide open access to their own articles on the platform. A read-and-publish deal would combine those costs into one and make papers immediately available on publication. The latest investigation has focused on Google’s AdSense business, which places its search box on third-party websites, such as news websites. The commission can fine up to an additional $13bn — which is 10% of the latest global turnover of Google’s parent company, Alphabet — but the penalty is expected to be significantly smaller than the maximum. As outlined in their 2016 charge sheet, EU officials worried that Google “artificially reduced choice and stifled innovation in the market” by contractually restricting how third-party websites display search ads from rivals. The EU case centres on Google demands, introduced in 2006, that required a number of popular third-party websites to use its ad service exclusively if they wanted to include the Google search box on their site. In 2009, the company relaxed the restrictions to allow the websites to show competing advertisers on their pages, but required they display a minimum number of Google ads in prime locations and give Google the right to authorise changes to competitors’ ads. The contract terms were ultimately phased out from 2016. While next week’s fine will bring an end to the AdSense investigation, EU antitrust officials continue to scrutinise Google’s behaviour in other services — such as dedicated search for travel, jobs and local businesses — and could open fresh probes. Look out Apple — Walmart Inc. is moving into iPad territory. The world’s largest retailer plans to introduce an inexpensive, kid-friendly tablet computer under its ONN store brand, part of a broader redesign of its electronics department. The device will be made by a Chinese supplier and run on Google’s Android operating system, according to photos found on a database of wireless product applications filed with the U.S. Federal Communications Commission. Tara House, a Walmart spokeswoman, confirmed the product is in the works, though declined to comment further. The price of the device, or when it will debut, hasn’t been disclosed. Walmart’s device could bring some life to the sluggish tablet market, which has been declining for several years. Tablet users don’t buy new ones at the same pace as they replace smartphones, which have also grown in size and capacity, reducing the need for a larger device. In 2018 tablet shipments fell 6.2%, according to data tracker Strategy Analytics. “iPad rival”. Wow, is it 2012 again? Android Police’s take on this was “Crap store plans crap tablet“. Atta Elayyan is currently CEO of Christchurch-based app development company LWA Solutions. Atta co-founded the company with Mike Choeung in 2010 and has grown the company to a 12-strong team. The team has completed projects for both New Zealand and overseas customers such as Trade Me, Mediaworks, Microsoft and Aramex. The latter being the largest logistics and transport company in the Middle East. For Aramex, LWA Solutions facilitated an innovative and user-centered solution. In fact, Atta and his team spent a week in Jordan with Aramex courier drivers to observe their daily routine and gain insight into how the courier drivers could use technology to enhance their everyday work. Replacing clunky and expensive devices, they implemented a bring-your-own-device system, turning smartphones into scanners. LWA Solutions crafted a solution with unique task management software applied to low-end smart phones specifically for Aramex. This enabled Aramex to completely streamline their business processes and enables scaling without huge hardware costs. Ultimately, a complete transformation of how Aramex do business. On reflection, it is amazing that such an incredible tech-driven international business can be run so successfully from Christchurch. 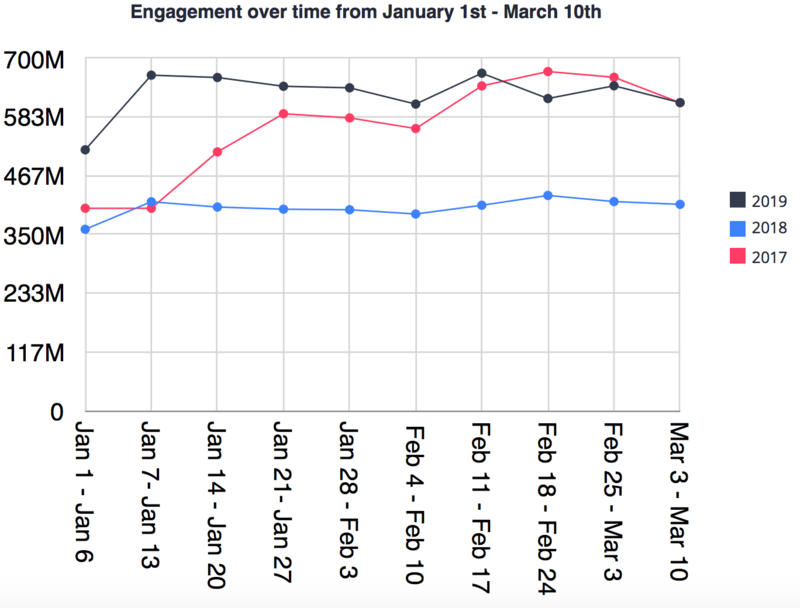 Engagement — likes, comments, shares, reactions — has risen. For the first few months of this year, it was 50% higher than it was in 2018, and about 10% higher than it was in 2017 (which, remember, included Trump’s inauguration, large-scale protests, and the chaotic early days of his presidency). So you’re saying it’s still a cesspit, and that your “tuning” has made it worse, Mr Zuckerberg? It remains unclear precisely how much cash the startup has lifted from its investors, but its entry on ICO Watchlist indicates Prodeum completed 18% from its funding goal. For context, its white paper lists the soft and hard caps for the ICO at 2,100 and 5,400 ETH, respectively. The current price of Ethereum is $1,194, according to CoinMarketCap. Prodeum is the latest cryptocurrency company to pull an exit scam. Last year, a sketchy Bitcoin investment platform known as BitPetite suddenly went dark, leaving with all of its investors’ coins. Only weeks later, another cryptocurrency company, called Confido, wiped its digital fingerprints and dashed off with its customers’ investments. The move came days after its founders said they’ve ran into legal obstacles. I’d be trying to sell any of those junk “coins” – actually penny shares without the voting rights – if I’d bought any. Xiaomi is number one in India in shipment terms, and one of the top five in Europe. The group has partnered with Foxconn to make phones in India where just a third of the population use smartphones. Apple has just over 1% of that market. Margins are higher within an internet-of-things and household electronics business. Margins are higher here, but unlikely to offset weakness in Chinese smartphone sales. Xiaomi lacks Apple’s pricing muscle. In 2016, Xiaomi held top market share in China, which accounted for more than 70% of its revenue. ZTE, Huawei, Oppo and Vivo have since undercut Xiaomi on value and through easier access via physical stores. China’s move to 5G this year will bring significant demand for new smartphones over the next few years. But Xiaomi’s premium plan is fraught with risk. Raising prices in its home market may threaten its tenuous grip on its number five spot. Doubts about Xiaomi’s strategy when it came to market have proved well-founded. The shares have fallen 43% from their peak shortly afterwards, and may fall further. The [UK]Attorney General [Geoffrey Cox, who provides legal advice to the UK government] was already on the defensive. The UK had had to drop the very public demands for a unilateral exit clause or expiry date. Cox therefore wanted independent arbitration to be the next best thing as a way out. He first suggested the arbitration be outside the dispute mechanisms already enshrined in the Withdrawal Agreement. That was immediately rejected by Barnier. He [Cox] then made further arguments which baffled and irritated the EU side. First, he suggested that if the trade negotiations broke down then it would, by default, mean the backstop applying indefinitely. Since Article 50 was designed to be a temporary state, that meant the EU was breaking its own rules. Cox then argued that Northern Ireland citizens would be subject to single market rules, yet not represented in the European Parliament or in ministerial meetings. The backstop was therefore in breach of the European Convention on Human Rights (ECHR). Combine those arguments and the UK should be entitled to walk away from the backstop. EU officials were in disbelief. The mood in Brussels darkened. Cox and Steve Barclay, the Brexit Secretary, returned to London. Sabine Weyand continued technical talks with Olly Robbins, her opposite number. Cox was both negotiating, and declaring what the negotiations meant – “marking his own homework”, as one MP put it. I suspect he thought his ECHR twist was very clever and would show those Brussels suits who was the smartest person in the room. Turns out, that didn’t really matter. The full story also shows how much high-level negotiation is now done via Twitter, which is quite weird. American readers will probably find this impenetrable. You’re not alone, folks. The report’s results are tragicomical – with antivirus apps detecting themselves as malware – and come to show the sorry state of Android antivirus industry, which appears to be filled with more snake-oilers than actual cyber-security vendors. Only two-thirds? Though I think you can say that 100% of iOS “antivirus” apps won’t be able to detect if something bad is going on, because they wouldn’t be allowed out of their sandbox. I leave it to readers to decide how to describe that. 2- Xiaomi is fully aware it has no pricing power, see their “5% margin” commitment. It is very vague there are a million ways to calculate margin, but it shows awareness. 3- Xiaomi does have brand awareness and brand value, so a bit of pricing power. When I’m looking for cheap and/or experimental stuff (my <$100 trial drone, an air filter for my asthmatic brother, batteries and cables…) I'll first look for Xiaomi stuff knowing it won't be crap. They're making a killing on e-scooters. 4- Xiaomi is sneakily building a non-smartphone business. I think a previous link of yours showed 30% of their sales are in other areas in India (so probably more elsewhere). That's probably higher margin, and certainly a stabilizer. I'm wondering if, long-term; smartphones are simply a loss-leader. I'm worried that my giant Mi Max -a blown up Redmi Note- for some reason has been in the Mi not Redmi line up to now… Hopefully they'll fix that and/or not rise prices on it.